The JSerra baseball team had a tough start to March. 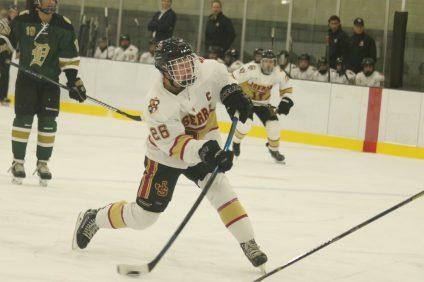 The Lions had started 4-0, but after a loss to league rival Mater Dei in the Newport Elks Championship, JSerra took a trip to Alabama and hit a skid. JSerra lost six in a row before coming home. Since their return, the Lions have regained their stride to win five of six games and take their first two series of Trinity League play. JSerra took two of three from St. John Bosco with wins in the first two games on March 12 and 13. 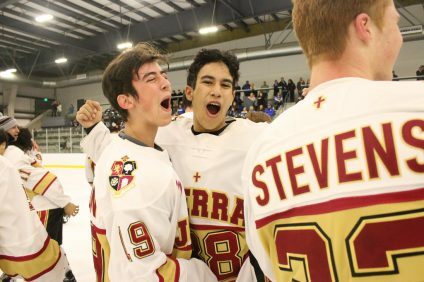 The Lions narrowly fell in the series finale to the Braves, 1-0, but bounced back to dominate two games against Servite, 2-0 on March 19 and 8-4 on March 20. JSerra closes the series with Servite at home on Friday, March 22. 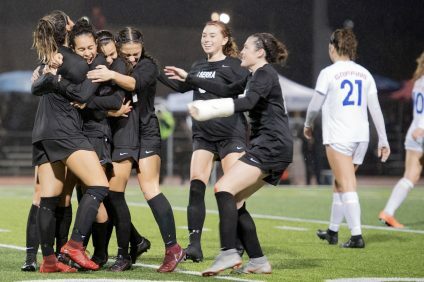 JSerra now hosts the prestigious Boras Classic that pits several of Southern California’s best teams against each other, with the winner facing the winner of the Northern California version for a de facto state championship game. The Lions open the tournament at home on March 26 against Etiwanda. The Boras Classic runs through March 29. The San Juan Hills softball team has been in strong form through the first half of the 2019 season. The Stallions are 10-2 with a six-game winning streak to open the season and a current four-game winning streak. San Juan Hills opened league with a 2-1 win over Mission Viejo in nine innings on March 19. Against Mission Viejo, Angelica Gonzalez scored both runs and hit a solo home run, and Phoebe Popplewell threw all nine innings with only five hits allowed. San Juan Hills continues at Laguna Hills on March 22, hosts Aliso Niguel on March 26 and plays at league title contender Dana Hills on March 28.